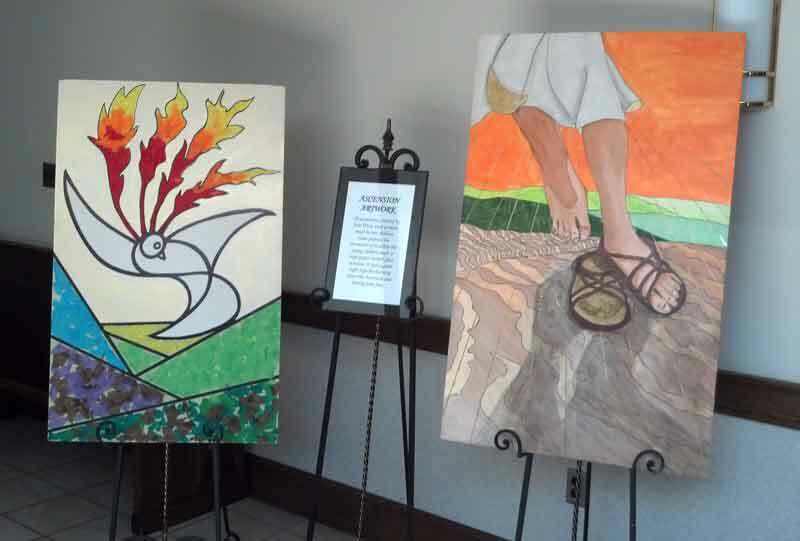 St. Matthew held a special service on Thursday, May 29 that celebrated our Lord’s Ascension. The 7:15 p.m. service featured Ascension music, a message offered by Pastor Faye Snyder, our Adult Choir, Holy Communion and we concluded the evening with a balloon (eco-friendly) release at the end of our worship service. The evening began with dinner at 5:45 in Fellowship Hall; followed by a Bible study on the Ascension for adults and a special Ascension project for our younger members. Scott Fredericks and Jane West met with the children and youth who were able to join us for a special art project about the Ascension. The children also participated in the service as we let our balloons with our church name and address and a special Ascension message float out into the world. Thank you to all who participated in this most uplifting event.